Keepin that spirit alive! 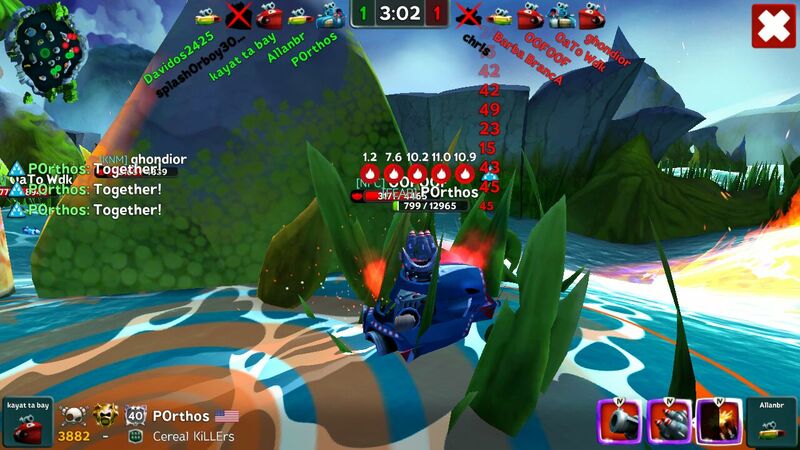 Post your best matches and Battle Bay moments here. Nikkie!, Kurd1stan., Sewah and 12 others like this. Nikkie!, The Friendly Fixer, Jamel H. and 27 others like this. Nikkie!, Rogue Blueberry, NeptuneGaming and 40 others like this. Rogue Blueberry, Mad_Bulls_007, The Friendly Fixer and 23 others like this. My best on my old account with shooter mark 4 was 8556 damage. seems like you like it hot? Neptune_Gaming, edwardk, $eeKnDe$troy and 5 others like this. super_sonic181, Valkhadin, Neptune_Gaming and 2 others like this. "Together!!!! Follow me into that sweet napalm spot over there, getting cold over here." NeptuneGaming, TheFixer27, Snapshot and 3 others like this. Most damage in a battle so far. _mamad_, Neon, Valkhadin and 5 others like this. My best is 4000 damage on this account (with defender mark 2) how do I upload the picture I am on my tablet right now. I see the upload a file but it always comes up with an error message. The Otherguy, Neptune_Gaming, Daidem and 3 others like this. Neptune_Gaming and Daidem like this. How can I insert photo without using url or attached files? Press "upload a file" button at the bottom. I multitasked their asses on this one with 5 kills & i was even playing bubble witch saga 3 (lmao). I've scored more b4 but i don't like to gloat or need to be praised because i know i'm good. (Lmfao) Nah it was a good game noobs. _mamad_ and Snapshot like this. Rogue Blueberry, NeptuneGaming, super_sonic181 and 14 others like this. Was that your first account or another dev ? All from these two weeks. Neptune_Gaming, LGG•Ghrok, Daidem and 1 other person like this.